There are moments when one loses self-control and only wants to shout: Enough. 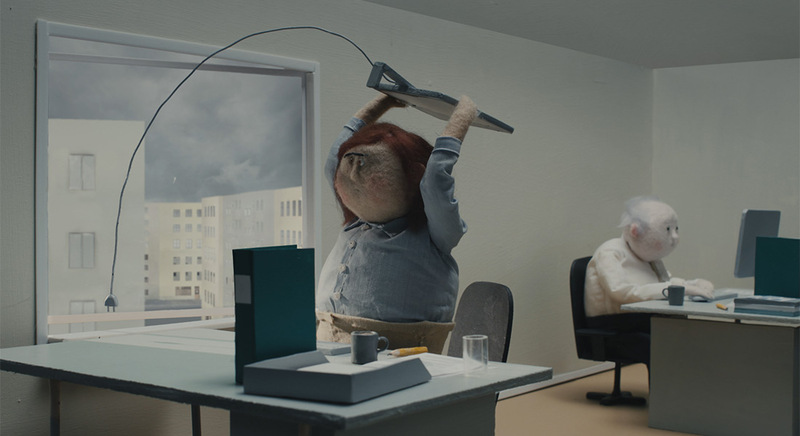 Mixing animation and live action, Gros chagrin depicts the failing of a relationship. Il Sole S’Incrina is loosely based on life and works of Tommaso Campanella, in particular his utopian dialogue The City of the Sun. Drżenia tells the story of a teenager aflicted by strange tremors, where fact and fiction get mixed up. Vando Vulgo Vedita is an explosion of youthful queerness with bleached hair. Schneewittchen examines what happens to dead bodies after death in the cases of dictator’s mausoleums, museum stuffed animals and religious relics.